Guatemala's disaster agency says 192 people are listed as missing with a further 75 people dead following Sunday's deadly eruption of the Volcano of Fire. Agency director Sergio Cabanas made the announcement Tuesday evening. Earlier in the day, the country's National Institute of Forensic Sciences said 75 bodies have been recovered but only 23 of those have been identified. Cabanas says some of the missing people could be among the unidentified bodies. Super-heated volcanic debris swept through small communities on the volcano's flanks Sunday with little warning for residents. Some homes were buried to their roof lines in ash. Rescuers were pulled back Tuesday after volcanic activity increased and new flows were spotted descending the volcano's slopes. A new explosion at Guatemala's Fuego volcano prompted emergency services to order evacuations from the surrounding areas on Tuesday. National disaster agency Conred ordered the evacuations and said that hot gas and molten rock were descending from the volcano. More than 70 deaths have been reported since the volcano - whose name means 'fire' in Spanish - erupted on Sunday, according to a Reuters report. National Route 14 has been closed as a preventive measure, according to Conred, and people are being evacuated to the municipal stadium of Escuintla. 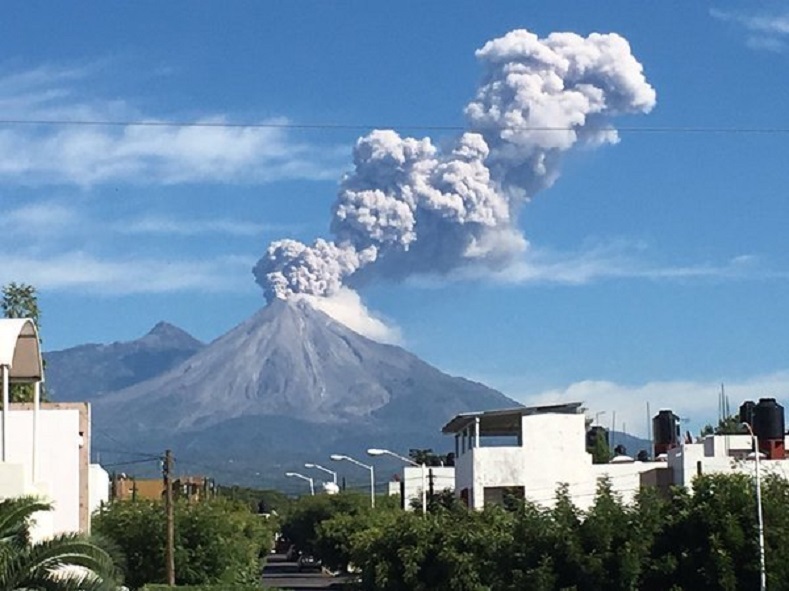 The National Institute of Seismology, Volcanology, Meteorology and Hydrology (Insivumeh) said the descent of the pyroclastic flow was recorded at 14:25 local time, by the Las Lahas and Jute canyon, and warned that the flow could soon reach the Palin-Escuintla highway. As of 13:00 local time Tuesday, more than 1,700,000 people had been affected, with 3,271 forced to evacuate. According to Conred, 75 people have so far been killed and 46 injured. The initial eruptions on Sunday and Monday were the worst by El Fuego in four decades. The fast-moving flows with temperatures as high as 700 degrees Celsius and hot ash and volcanic gases that can cause rapid asphyxiation caught many off guard. The eruption sent molten rock and ash up to 33,000 feet into the sky and cascading down into villages surrounding the volcano. Most of the deaths are caused by Pyroclastic flows. Volcanologist Dr. Madelaine Willcock told Direct Relief that: 'Pyroclastic flows occur when eruption columns become too dense to keep rising and instead collapse down the flank of the volcano.